Aussies love bargains – and ETF providers are happy to oblige. 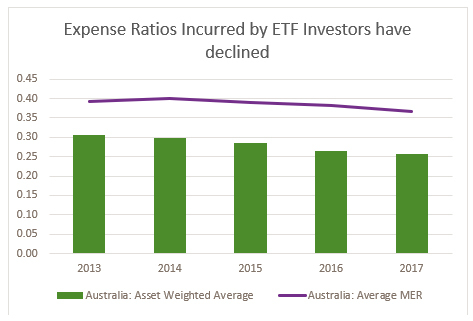 The average fees Australian investors wear on ETFs has been trending down the past five years, as investor demand for lower fee products is met with open arms by ETF providers. As of January 2018, the asset-weighted average fee worn by Australians investing in ETFs sat at a mere 27 basis points, down from 31bps in 2013. This means that for every $1,000 invested in an ETF, investors pay a mere $2.70 in fees – less than what they pay for their morning coffee. The trend bodes well for investors as it allows them to keep more of the returns their money earns. It also bodes well for passive investing generally, which is well positioned to continue under-pricing active management. 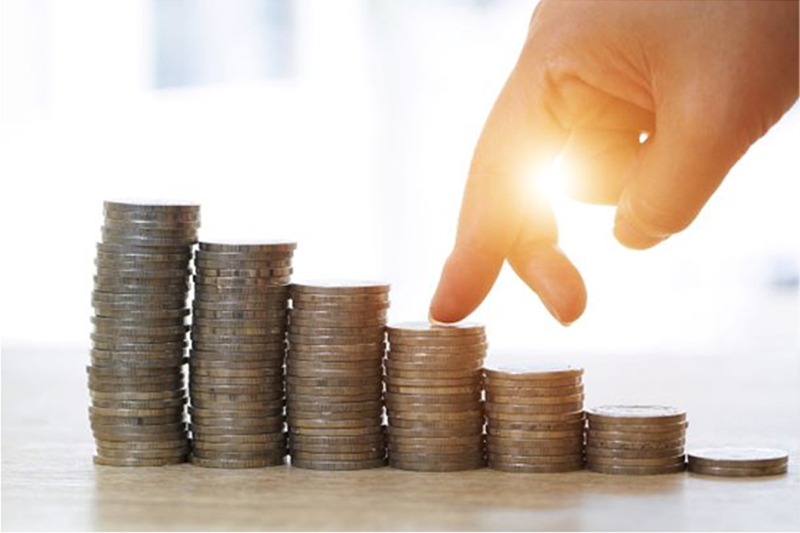 The average fee charged by active Aussie fund managers sits at around 1%, data from Canstar indicates, which is almost three times the average cost charged by ETFs. 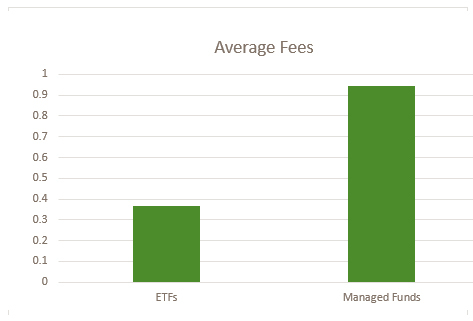 Leading the downward charge in ETF fees is the increasingly intense competition among ETF providers – particularly in the plain vanilla space. The dive has also been driven by supply chain pressures, particularly pressures on index providers, to cut their fees. These supply chain savings are then being passed on to investors. Downwardly spiralling ETF fees are not unique to Australia. 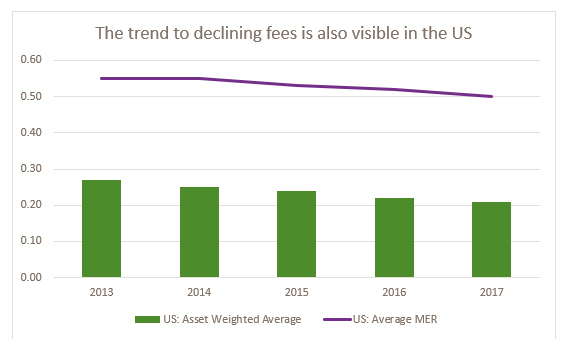 In the US, where the ETF market is more established, the asset weighted average fee now sits a at 21 basis points, data from the Investment Company Institute indicates. To judge by the current trend-line, it could only be a matter of time before the Australian market hits similar lows. What do these cost benefits look like in practice? Well, they include low cost exposure to cutting edge technology. ETFS ROBO Global Robotics and Automation ETF (ROBO), for example, provides Aussies with the world’s cheapest exposure to the famous ROBO Global index. For a mere 69 basis points, ROBO gives investors the chance to gain from the wave of innovation currently underway in robotics and artificial intelligence. Similarly, any investor interested in Europe’s bluest of blue chips could keep in mind the ETFS EURO STOXX 50 ETF (ESTX), which provides some of the cheapest exposure to the renowned EURO STOXX 50 index available outside of Europe itself. At 35 basis points, ESTX charges $3.50 on any $1,000 invested – bang on the price of a cup of coffee.